Discover City Square Mall’s secret ingredients with over 50 F&B options available to leave you spoilt for choice! 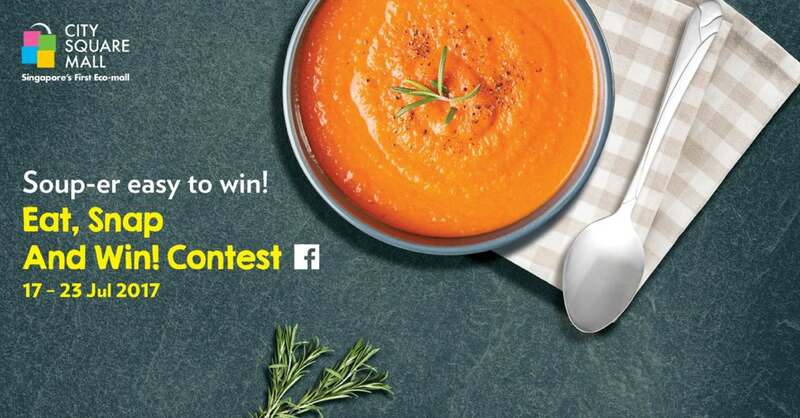 What’s more, stand a chance to win $100 F&B vouchers when you follow 3 simple steps. Sounds Soup-er easy? 3) Stay tuned to our FB for the winner announcement! Find out more at City Square Mall.